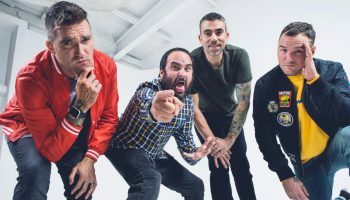 Album Review: Neck Deep – ‘The Peace and The Panic’ – Spotlight Report "The Best Entertainment Website in Oz"
If you want to feel absolutely chuffed for a road trip, Neck Deep are your answer. The Welsh outfit have had a successful run so far, plugging in anthemic tunes like “December” and “Kali Ma” in their predecessor Life’s Not Out To Get You. 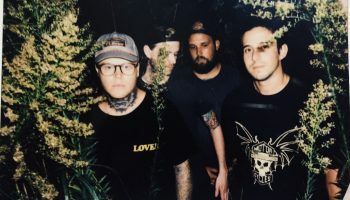 Growing and nurturing their pop punk sound, there’s an obvious maturity progression in the recent release of new album The Peace and The Panic. With fun and boppy tunes, Neck Deep still craft songs with great energy, but it’s obvious that the band are now grown up, writing lyrics that are relatable to any one in their early 20s. 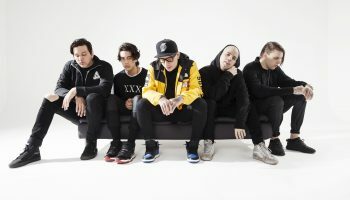 Across the depths of the charming and bubbly atmosphere in their songs, Neck Deep write lyrics that are quite existential, questioning their thoughts and feelings and the purpose we have on earth. It’s hard to be young and vulnerable: we are at the point where we’re so full of life but always leaning across the edge of what will come next. Favourable songs like “The Grand Delusion” and “In Bloom” describe some feelings of anxiety and self-doubt. We tend to overlook pop punk for its fun approach in musicianship, but Neck Deep go at lengths when it comes to explaining how they feel. It’s projecting those feelings and being low key miserable amongst its melodic musicianship. We all reach to the point where we become critical of ourselves and Neck Deep crawl in their musicianship with a strong approach, but they’ve also used this album as an outlet to their own problems. It’s attached to the idea that we’re all struggling and we need to escape. 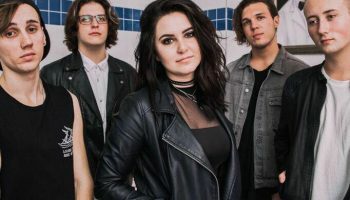 They prove that it isn’t so much about making a song that is purely catchy – it’s bringing out the meaning of songs that give people hope that they aren’t alone and that musicians – no matter how we praise and put them on a pedestal – struggle as much as we do. We go through identity changes, stressful events and things that dishearten us. But sometimes it’s important to try and believe in ourselves. Neck Deep show the rough parts of life in The Peace and The Panic. It distinctively shows that we will feel anxious – scared even on some of the things we stumble upon. But most importantly, it teaches us how to feel vulnerable and to embrace that feeling. It’s a calming thing to reach the point of acceptance and to fight the demons that somehow put us in chains. 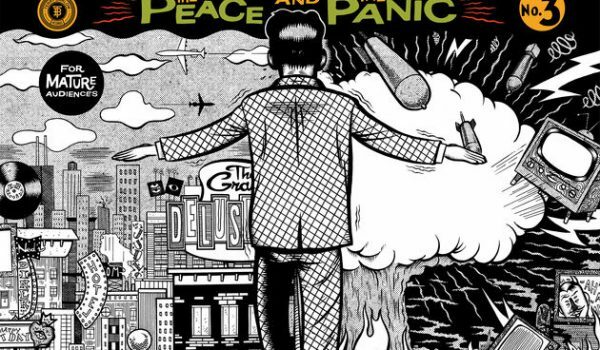 The Peace and The Panic is a release worthy of a listen because of its emotional connection with listeners and how it sheds light on the importance of honesty within yourself and to other people. In the end, it is what makes us human.